Q: Your O’Shaughnessy Chronicles novels are fiction, yet closely based on your mother’s life in early 20th Century southwest Wisconsin. Her memoire, From High on the Bluff, was published in 1999. How much in the O’Shaughnessy Chronicles is fiction and how much is true-life? 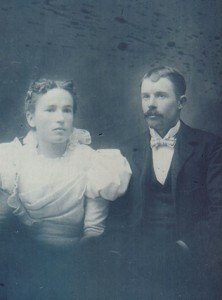 A: Most of the main characters in the O’Shaughnessy Chronicles, and their interpersonal relationships, are true representations of my mother and her family. The setting, in Wisconsin’s Driftless Region early in the 20th Century, is also true to her life. However, when I sat down to write the novels, I had to connect the dots with fiction. My mother’s stories were interesting, but they were only snap shots of her life. I needed something to pull them all together. I didn’t have a plot line. I added more drama and brought in more characters like Will O’Shaughnessy’s brother Jesse, who didn’t exist in real life. And I had to expand upon some things. 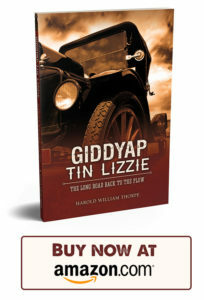 The death of my mother’s brother at Christmastime, covered in a paragraph in her memoire, became several chapters in Giddyap Tin LIzzie. But I was determined to stay true to her story. After I finished the first two novels in the O’Shaughnessy Chronicles I sat down and highlighted everything in From High on the Bluff that made it into the novels. Hardly a page didn’t have some highlighting. Q: Before authoring the O’Shaughnessy Chronicles, had you done other kinds of writing? How did that prepare you for novel writing? 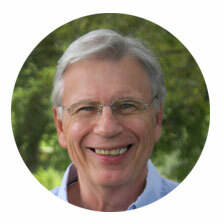 A: I retired in 1997 as a professor at the University of Wisconsin-Oshkosh. I have a doctorate in education. Over the years, I have published many research and technical papers. But I knew nothing about writing fiction. The thought of writing a novel had never, ever entered my mind. I had to learn how to write fiction. The learning process has been a big part of the journey. I was developing my writing skills at the same time that I was writing my stories. Q: What are your best memories of growing up in southwest Wisconsin? A: The unique culture, the topography and the food. 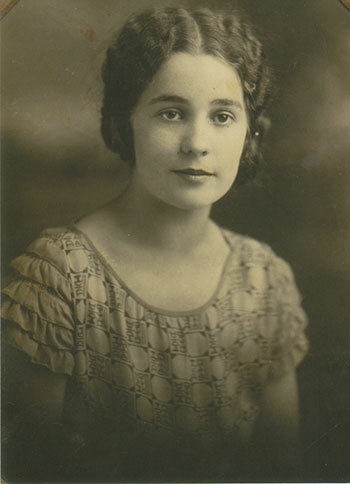 My grandmother, who is Mary in the O’Shaughnessy Chronicles, made Cornish pasties that would sell for gold today. I mention them in the stories. I still have her pasty recipe. 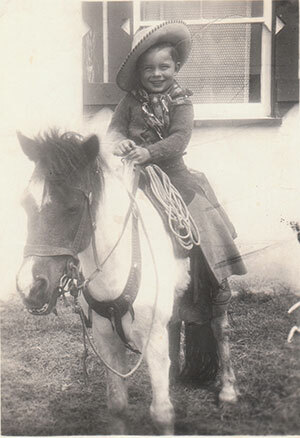 As a child, I spent a lot of time on the farms of my aunts and uncles, mostly playing, not working. Those were great times, great memories. 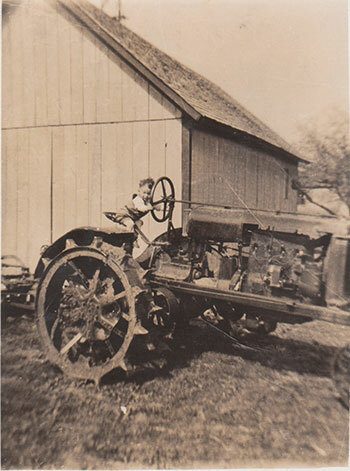 In high school, I worked on some of those family farms as a summer laborer. Q: Authors often have a special place where they like to sit and write. Where do you write? A: At first, I sat on a hard chair at the dining room table. Then, I moved to a soft chair and a lap board. I have a laptop computer. I do most of my writing very early in the morning, beginning at 3 or 4 a.m. My wife and I have homes in Butte des Morts and Door County, Wisconsin. I work in both places. Our home in Door County is in a wooded setting that is really conducive to writing; just after sunrise I can look up to see deer in the yard. Q. The O’Shaughnessy Chronicles, set in part during the Great Depression, came out while the U.S. was in the midst of its worst economic downtown since the 1930s. How did that timing lend poignancy? A: This is certainly history repeating itself, that we can learn from. Of course, the timing just happened. I couldn’t have planned it. I started writing the O’Shaughnessy Chronicles novels before the current recession hit. In terms of learning through history, I quickly discovered that very few of my readers recall the Great Depression. So there is great potential, via the novels, to teach about the era and about how Wisconsin was affected. Some of my older readers remember those years but most have commented that their recollections of the 1930s are really just echoes of their parents’ stories. Even those who were children during the Great Depression, it’s not something they really recall themselves. As a child, I caught the tail end of the Depression. I was close enough to it to remember the aura that hung over everything. Readers younger than me won’t have the same visceral response. Q: You have now published both the O’Shaughnessy Chronicles series of novels for adults and Wyatt’s Woods, a chapter book for children. Several more children’s books are due out soon. What do you enjoy best about writing for those two different audiences? A: The adult novels were hard work. I wrote them because I had a story to tell about my family and about southwest Wisconsin. The children’s stories, they were pure fun. I wrote them for my grandchildren and to relive my childhood. It took me back to that time. I began writing Wyatt’s Woods nine years ago, completed most of it and then set it aside. I brought it out last summer and finished it. The next three children’s books (due out soon) took me three weeks to write. It was fun; I couldn’t put them down. Q: Among all of the characters in your books, do you have a favorite? A: It’s very hard to choose, but I would have to say Will O’Shaughnessy’s daughter, Ruby. In real life, Ruby was my Aunt Alice. She was my hero; she wore a Superman cape. When Alice was there, I knew the day would go well. I have lots of Ruby stories that haven’t made it into books yet. In her mid-80s, she still rode the bus through dangerous neighborhoods near Los Angeles. A friend suggested she stop. “I’d like to see them try to take my purse,” was her response. She went to nursing school in Milwaukee in the 1920s, then came back home to Dodgeville and soon was head nurse at the hospital there. In California, she again quickly rose to head nurse. 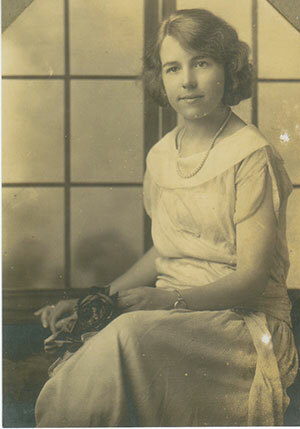 My mother was the dreamer, with great high ideals and literary pursuits. Aunt Alice was the pragmatist; she knew exactly where her life was headed. Q: You set Wyatt’s Woods in Door County, Wisconsin. Why? A: The character Wyatt is based on my oldest grandson, who was in the fourth-grade when the book was released. My grandson’s name is Wyatt. 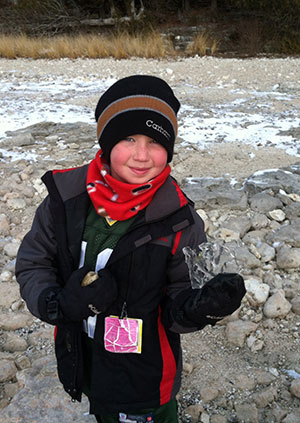 We have had a home in Door County about as long as Wyatt has been alive; he was a baby when we began building. The surrounding woods – we own a total of seven acres — have always been Wyatt’s Woods. In the summer we’re up there almost every weekend, often with our grandchildren. Wyatt and my wife have explored just about every inch of those woods; their adventures fed the story. 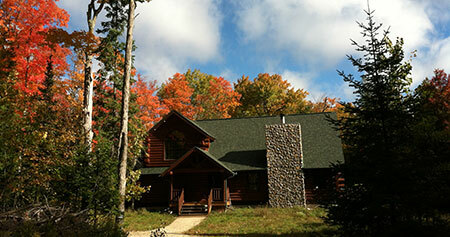 Q: What are your favorite historical and natural sites to visit in southwest Wisconsin and Door County? A: In southwest Wisconsin, Mineral Point itself. More than any town, it represents the rugged terrain and Cornish culture of the Driftless Region and it’s an artistic center, as well. I like to drive by the area of Point I called “A Grove of Fitzsimonses” in Mother’s book, the farm where Grandpa died in the hog pen and the little doll house where I lived. I also love to take scenic drives between Mineral Point and Linden and between Dodgeville and the Wisconsin River, where I trout fished and hiked the rugged hillsides. And I visit my cousin’s farm home outside Ridgeway and enjoy the fields and woodlands where I played and picked berries as a kid. In Door County, I told about Wyatt’s favorite places throughout the book, Wyatt’s Woods. But there is a magical spot around every corner between Sturgeon Bay and Gill’s Rock. Q: What is next on your plate? A: Booksellers have asked me if I’m going to set another children’s story in Door County. That’s a possibility. There is also one remaining O’Shaughnessy Chronicles manuscript to wrap up.